I can't believe it is the 4th year that Big City Moms will be hosting the "BIGGEST BABY SHOWER" here is DC. I will look for any reason to get down to Georgetown. If you just had a baby or getting ready to have one, this is the hottest ticket in town. So you got some windows..... So you know you need curtains....... But getting window treatments right is a crucial part of any design. Especially because they are NOT cheap. Lately, I've been spending a lot of time learning more about the in's & out's of window coverings. There truly are so many things you need to consider up front. Not to mention where you exactly hang them. That's a whole other ball of wax. Thus, figuring all this all out can be very daunting. So I sat down with the window treatment expert, my girl Laurie McParland of Picture Perfect Windows. We talked about everything you need to know to get it done properly. #1. How Fancy do you want to go? We make simple flat panels. 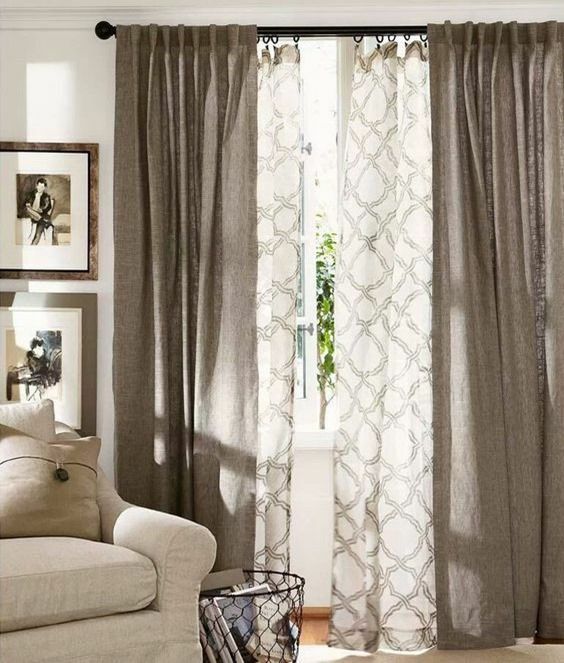 Many of the manufactures I work with like Bebe Chic & Pine Creek make lovely curtains. They can come with either a rod pocket or with buckram to be used with ring hooks or clips. They will always have a relaxed casual look. These usually run around $250 & include fabric. It's important to know what you need from your window treatment. Are they going to just be decorative or functional. Are you going to open & close them everyday. Or will they stay in place? How much light comes into the space? All curtains need to be lined! But do you really need a black-out lining? I say if sunlight is streaming in during nap-time, you need black out. 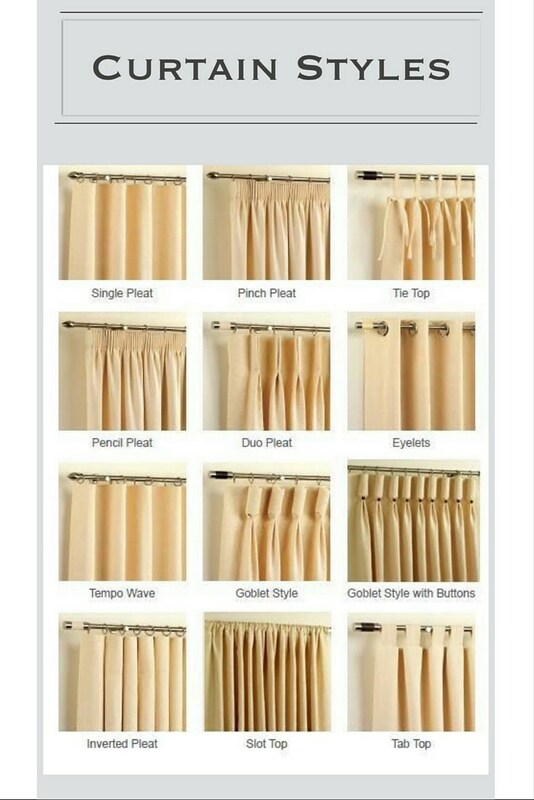 There are so many ways to hang a curtain. 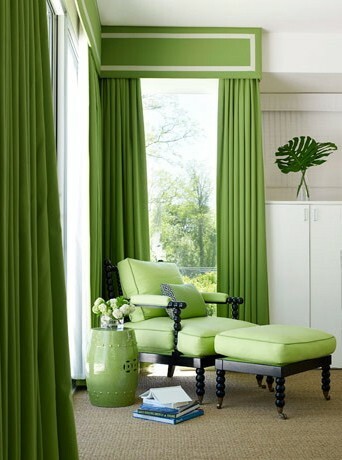 For 12 years I have been designing & selling drapes to clients. Most often we use a simple 3" rod pocket. Well, I have recently learned that is wrong!! Thanks Laurie. 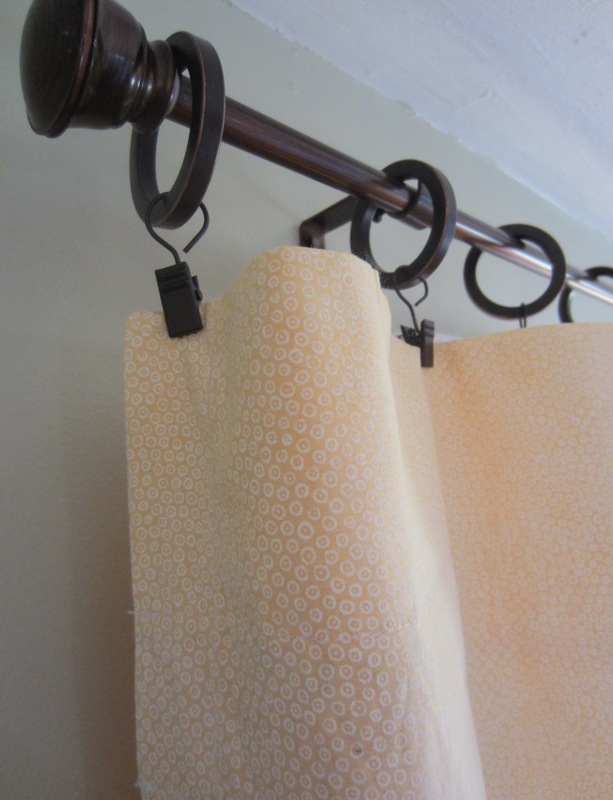 To clarify, rod pockets are great for stationary non-working drapes. But if you want to move smoothly back and forth on the rod, you need to put them on rings. Then you attach the curtains to the rings with hooks placed in the back of the panel. Or you can use ring clips that attach to the top of the panel. The clips are definitely more of a casual look. But they will both give you the functionality you are looking for. The curtain has to go all the way to the floor. After 20+ years making window treatment for Bethesda's best. What are the things that absolutely drives her crazy. 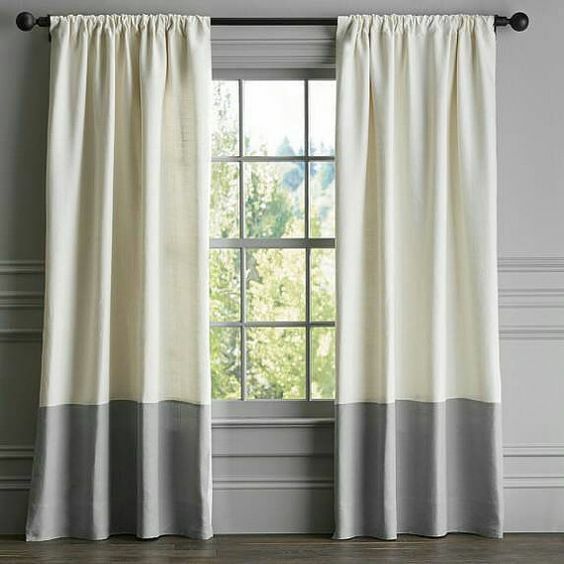 Buying "Ready Made Curtains" at the standard length that are too short. There is no standard. Custom gives you length that is right for your windows. Narrow Panels that are too small for the windows. Every window needs two panels. Each panel should be the width of the window. This week I want to kill two birds with one stone. I’m getting ready to reorganize my website and I need to review each of my manufacturers. We have chosen the best companies in the business. So in this week’s blog I want to share why I love them. Check them out. I had so much fun introducing everyone to the fabulous girl bosses of Bethesda last fall. Our readers nicely received the blog and some folks actually gave them a ring. It really was so cool to be able to highlight such hardworking entrepreneurial women; I couldn't wait to do it again. It takes a lot of guts to step out & open your own business. I’ve watched these 6 women put in so much hard work throughout the years & to see them flourish in their craft is amazing. I am honored to call them friends. Today, I want to talk about our design process. When you work with me in the studio, how do we get from Consultation, to Design, to a complete space? How does my thought process work in conjunction with your thought process? Then how does it all come together to create an amazing room. A perfect example of this collaboration has to be with our clients Kimberly and Derek Adams. Now when coming prepared for a consult, it never hurts to be a little Type A. In all of my years, I have never had anyone with a PowerPoint presentation in hand. Yes, printed out with enough copies for everyone. And I must say, I absolutely loved every minute of it! 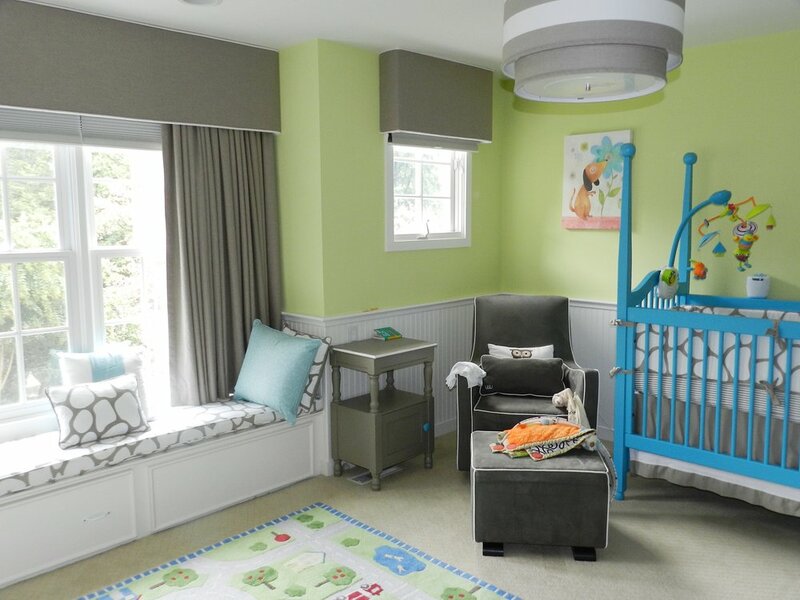 Please check out how we turned her presentation into her dream nursery. As I hang out at Guardados restaurant in Bethesda, prepping my blog post for the day. (If you haven’t been there, you must go. Bethesda Eats: Future Blog) Today’s post I want to take the blinders off & show you a little behind the scenes of how I create lovely fabric layouts. Oh it’s a process. Fabric combinations just don’t come out of thin air. I spend several hours becoming one with my fabrics. Memorizing their textures, colors, prints & patterns. This helps me understand what fabrics will work well with others Thus, when clients come in, I can make their vision come together. See how we do it. Everybody can play at our studio. It's funny because my mother probably would have never stepped foot into a store like mine. Maybe it's because she would assume everything in my store would be way too expensive for her to afford.